And thanks for an app that is vastly better than the pathetic "Album" offerings of the big name brands. 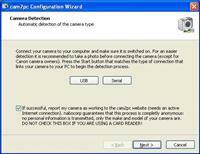 The Configuration Wizard allows you to setup cam2pc in a few clicks! 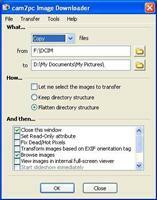 cam2pc features numerous actions that can be taken after the images have been downloaded. 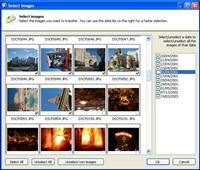 Select the images that you want to download from your memory card. 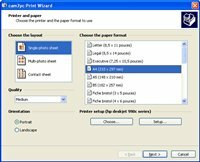 The directory created to download the pictures to can be created using special values so that its name perfectly matches what you want. 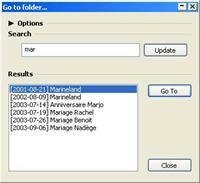 Renaming the files on-the-fly while downloading them also offers numerous options. 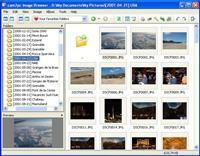 The cam2pc image browser. Notice on the left side of the picture how cam2pc created all those directories which are now perfectly sorted! The detailed view showing EXIF information. Locate in a few keystrokes the images you shot for that particular event. 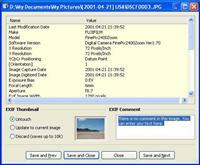 cam2pc is able to display the EXIF metadata embedded in digital pictures. 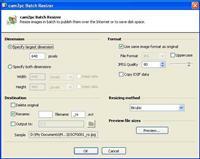 cam2pc features a batch resizer so that you can easily send or publish reasonably sized images. 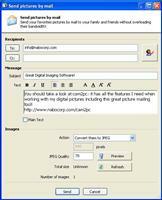 cam2pc allows you to send your favorite pictures by mail to your family and friends. 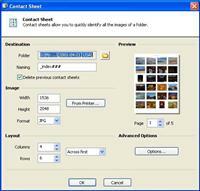 Print your pictures on individual pages or as contact sheets. Create highly customizable contact sheets of your image folders. Enhance and fix your images in a few clicks! 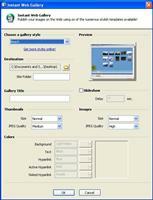 Create web galleries based on premade templates.